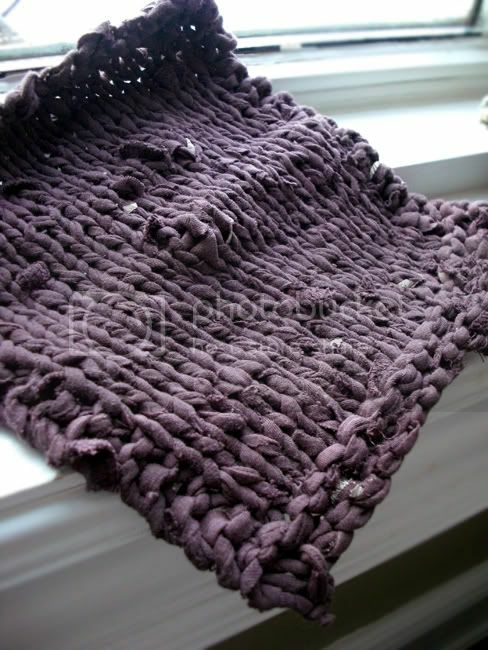 Craftster Community > KNITTING > Knitting: Completed Projects > recycled t-shirt dishcloths! I have a lot of clothing laying around that i dont wear anymore. I usually donate it, but this year as im hard on cash, i decided to try to use it all for my crafts! I have a bunch of ideas so far but this is my favourite! 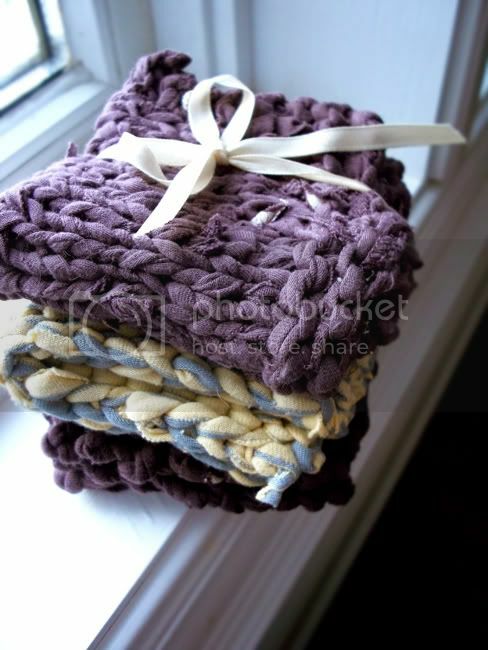 which i then knit into super awesome durable recycled dishcloths! and do you have any other ideas of what i could do with all those clothes? I have yet to try and recycle my toss-outs, but I will deff do something with them this yr. They also make great baskets for holding craft projects and such. I've been crocheting them with woven (non-stretchy) fabrics, but I'm sure you could knit something up with your jersey and it'd come out great. This is such a good idea!! They look like the kind of thing people would pay lots of money for in some boutique so they could feel righteous about recycling. You are doing the sensible thing though, and making them for yourself! 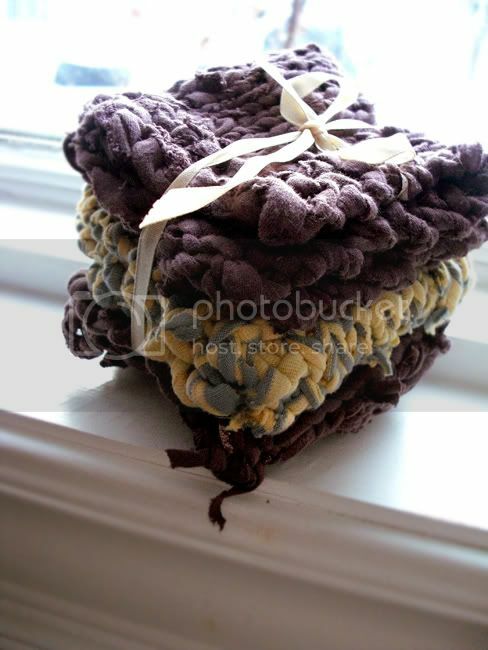 Thrifty, crafty and useful and wrapped up like that, they would make a cute gift too! This is such a great idea, very green! Genius. I've just knitted long rows of different colored t-shirts, then hand sewn them together for a rug. I actually made one 3 years ago that I still use in our bathroom. It goes in the washer & dryer easily and is still soft and cushy to stand on.